What do all restaurant owners have in common? They all want to reduce the costs of running their business. This includes everything from eliminating waste to cutting back on energy to improving customer satisfaction. 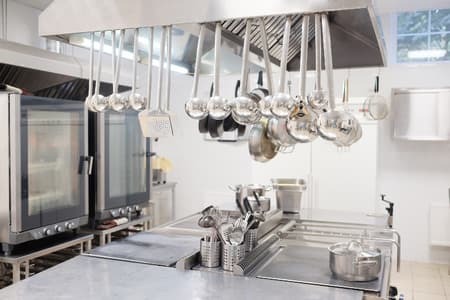 A big focus for the coming year will be foodservice equipment for the back of house that makes everything run smoother and helps fend off that giant electric bill at the end of the month. The gas bill and the water bill could also use some trimming. 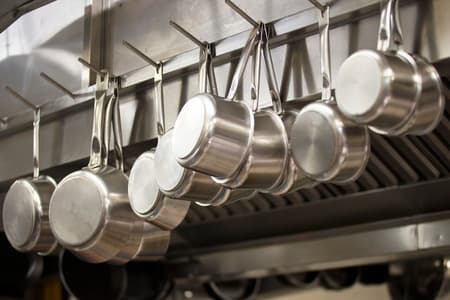 Equipment suppliers and manufacturers are making huge headway in keeping up with the demands of the modern kitchen. That means decreasing square footage of equipment and increasing output potential. Take a look at these 3 trends that have the whole business in an uproar. The hottest new thing is smaller than average. The proprietors of pop-up kitchens and food trucks already know the importance of tiny kitchen gear. 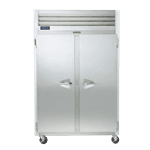 Smaller equipment means more room for your chefs to move around behind the line. You need every square inch of space, especially if you’re operating as a mobile vendor. Even if your restaurant is as traditional as they come, minimizing the space you use for back of the house operations is still a good idea. That’s because you need all the square footage you can get up front, increasing the space dedicated to customers. With less space comes machines that work harder. These newcomers include the combi-oven, able to perform 3 functions flawlessly and keep space to a minimum. Some combi-ovens are taking it a step further by being stackable. Building upwards, not outwards, will maximize the space in your back of house. Open kitchens are already popular enough. They promote the values of transparency so important in today’s society, allowing a real relationship to develop between chef and customer. In 2018 they stand to get even more mainstream. This means that any old, rusty or greasy equipment needs a swift kick out the door. You’ll need to replace it with new equipment your customers will like to look at. Get colorful, new and exciting equipment that fits the theme of your restaurant. Get a bright red combi-oven, or a fun purple fryer. It can even mean something as simple as investing in new bar accessories or silverware — anything that’s fun, new and appealing should do the trick. You’ll need to make sure that this equipment fits the bill to save you not only time but money, as well. Imagine opening up your bills at the end of the month will a heart full of hope instead of a feeling of impending doom. You can cut costs by purchasing equipment that is EnergyStar certified. EnergyStar is an organization run by the Environmental Protection Agency, created in an effort to reduce our carbon footprint. This equipment has been tested and proven to bring down the costs of your operations. In order to compete in today’s market, you need equipment you can count on to not rack up the bill at the end of the month. Kitchen equipment is becoming digitized. Seasoned chefs may scoff, but they’ll eventually come around. That’s because nobody can deny the efficiency and ease of the one touch oven. These ovens, like the Solwave Fusion, have a simple touch screen. Much of this touch-screen equipment can be programmed to specific restaurant requirements and menu items. Simply popping the food in and touching a button on a screen greatly reduces the time it takes to train restaurant staff. This saves owners’ money in the long run and reduces everybody’s stress in the kitchen in regards to new hires. The easier it is to operate your equipment, the more relaxed your kitchen environment will be. The more relaxed your environment is, the happier your staff. The happier your staff, the better the quality of food they serve and the better the general vibe around your place. All of this leads to a happier customer. This rapidly advancing technology is paving the way for restaurants to become more independent in their niches, exploring different avenues of service. It frees up the chefs’ hands to get really creative in the kitchen. Restaurants will end up with a more dedicated staff producing higher-quality food, and happier customers coming back time and time again.